While understanding "How to Write a Web Content for SEO" is significant, measurement is also very critical to success. 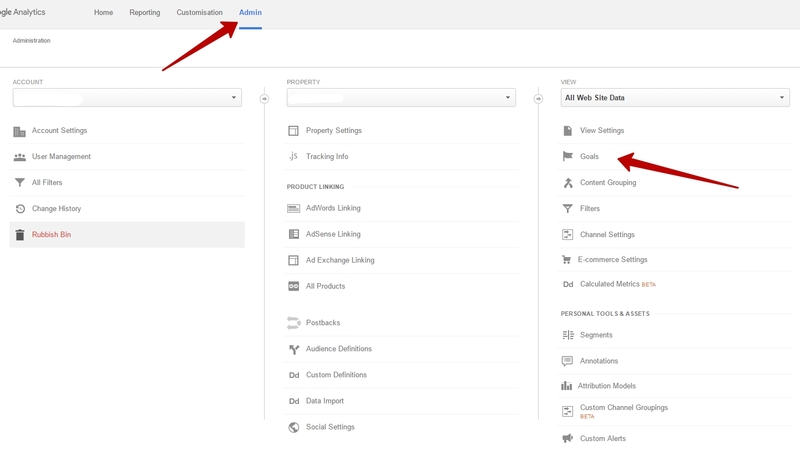 Here in this article, I will provide some information about creating reports with Google Analytics in order to evaluate the performance of your business. SEO refers to Search Engine Optimization and optimizing process of a website so that people can find and reach it via different search engines like Google. On the other hand, “Content” refers to any information on the web. When we combine these two terms: SEO Content is any content created with the aim of maximizing its impact in the Search Engine Result Pages by attracting search engine traffic. What to measure for SEO Content? In digital marketing you need to have certain goals, whether you’re doing PPC or SEO. These aims can be varied client to client or business to business depending on their branding strategy and business goals. How to Measure SEO Content? While launching a new project, adding call-to-action button promotes your client’s business and add a content that can drive traffic to those specific pages. Also ask your client about the value of a new customer and lead. Because their goals can be differentiated form each other. In addition, it is critical that you put a value for each conversion before setting a goal in Google Analytics. 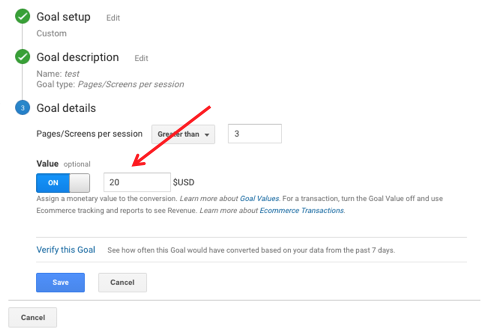 After defining your business goals with a valid value for this goal, navigate to the Admin Panel in Google Analytics. You can reach the Admin panel by clicking the little gear icon at the bottom-left corner of the screen. From the three columns (Account, Property and View) in the admin view, you can see the “Goal” section under the “View” title. You can familiarize yourself with the selectors by choosing the “Custom” instead of templates. The next step is filling the blanks with the information from step 1. For more information about creating a goal you can check out here: Create, edit and Share Goals. After you set up your goals, you will require automated reports from Google Analytics. First we need to separate and segment incoming organic traffic from the search engine traffic. Organic traffic refers to the visitors that land on your website from unpaid (organic) search results. 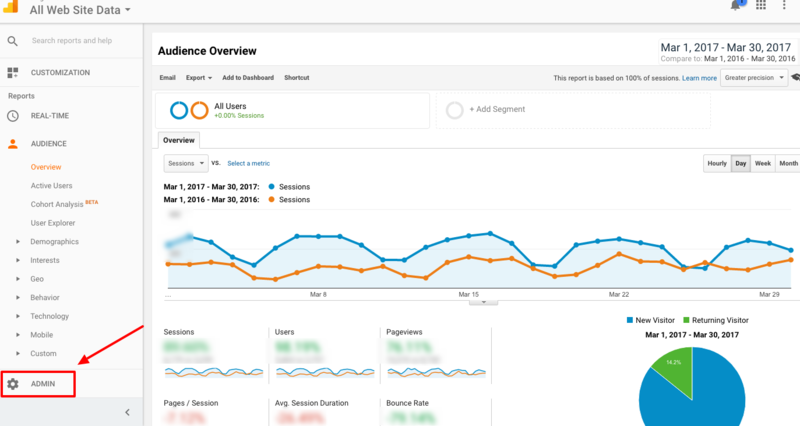 In order to see traffic coming from organic search results, creating a segment, go to “All Users” label at the top of the page of Google Analytics Reports Section. After you click the “All Users” you will see a list with checkboxes. Find the “Organic Traffic”, then check and apply. It provides you to vies the traffics only coming from search engines. While there are numerous reports you can view in Google Analytics, I recommend you to check out the “Landing Pages” report. So, go to “Behavior” on the left hand navigation column, then you will find the “Landing Pages” under “Site Content”. It tells you where the visitors start their session. You can see also which pages are having the most visits. 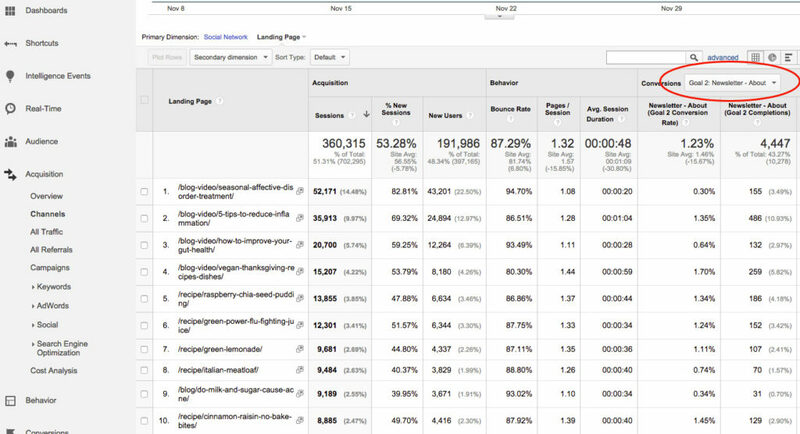 You can also go deeper by analyzing “Average Session Duration”, “Bounce rate”, and “Page per Session”. Do not forget the goals we set! In the Landing pages Report, you can also view the value is delivered by pages on your website. For example, you can find out which post or writer is creating the most business value for you. You can also share this report with your team by clicking the e-mail link. You can create an automated reporting and send these reports on a monthly basis. For further information on SEO Strategies, we are here to help you. Call Advernation LLC at 212-500-0594 or email info@advernation.com. See what else we can do to expand your business. We look forward to working with you.